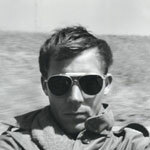 Influences	"Hunter S. Thompson", "journal of the plague year"
It’s a forgotten fact that a sizable share of the voting population regularly consumed hallucinogenics from the late sixties until the early 80s, when physical nerve excitement gained the ascendancy. LSD, in crude terms, is voluntary insanity. It makes you go bipolar. Nobody knows precisely how many people took it, or for how long, or the intensity of the doses, or who was doing the calibration of all the blotter and purple micro dot and mescaline being swallowed. We only know that at some point during the metaphysical bar mitzvah, when the heroes of World War II handled the mantle of glory to their sons, somebody pushed the reset button, and the heirs to be opted to completely erase their genetic card and start acting like salivating rats in the laboratory of life. London during the last great visitation in 1665.
all the while in London. It’s hard to know what the numbers are. But if twenty per cent of young adults were strung out on acid during the period when their cerebral cortex hardened, and those people are aged fifty to eighty today and didn’t have the good sense to terminate the experiment like Thompson did in Woody Creek back in 2005, not even the supermarkets are safe.